When you use certain stage environments in Injustice: Gods Among Us, they can cause some damaging results. Watch inside as Sinestro does some lab work. Skynet516 is on the scene for another short Injustice: Gods Among Us combo video. 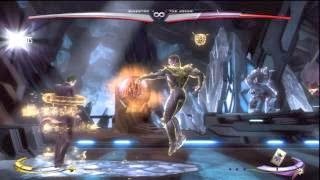 Using the environments in the Laboratory stage, the uploader is able to perform an 86-percent damage combo with Sinestro.